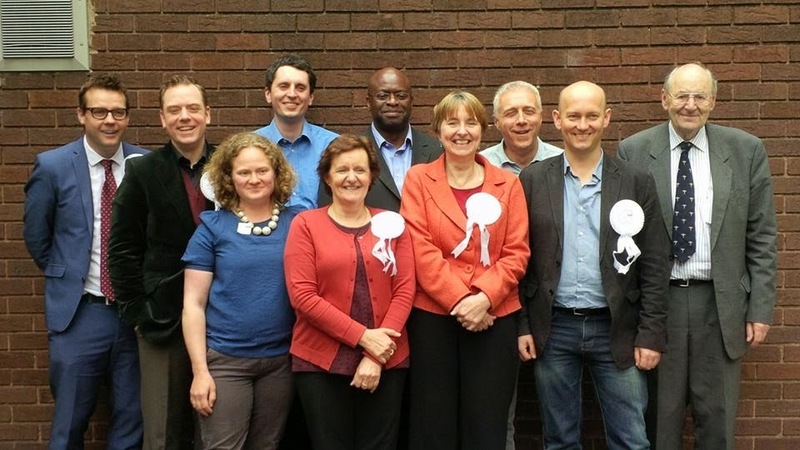 The proud prospective London Euro Election Candidates for the National Health Action Party along with the co-leaders Clive Peedell and Richard Taylor. I am standing for the NHA to protect an already frail maternity service and to ensure that my own three girls are given the same care I had for their births when they become mothers themselves. Across the country maternity units are being down-graded or closed. More women are facing longer journeys to give birth to their babies in safety. Women are being denied choice in where to give birth and midwives are being strained and de-skilled. If we don't act now we are going to lose the NHS forever. Why does this matter for women and maternity? Maternity is unlike any other health service. The users are not patients, they do not need treatment: they need care – sometimes complex care – and they need respect. We need to demand named midwives for all women and a service that genuinely caters for all. I believe the National Health Action Party are the only Party that are calling the government to account over the NHS and exposing the reality of privatisation and cuts to our precious health service. You can find out more about the gorgeous candidates on the NHAp website. We're not like any other political party - we even have the magnificent Rufus Hound standing for us!